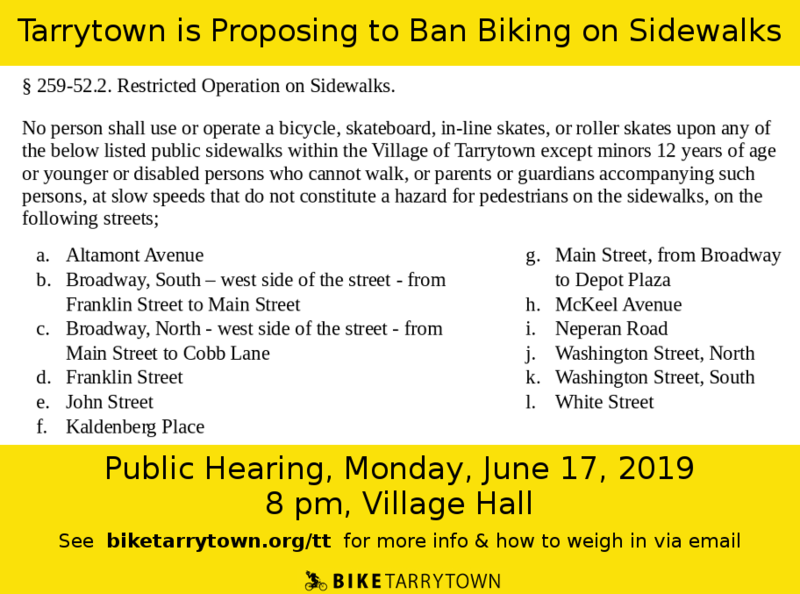 Tarrytown wants to ban cycling and skating on a BUNCH of sidewalks in, and leading to, downtown. 13 year olds would be forced to bike in traffic on Route 9. 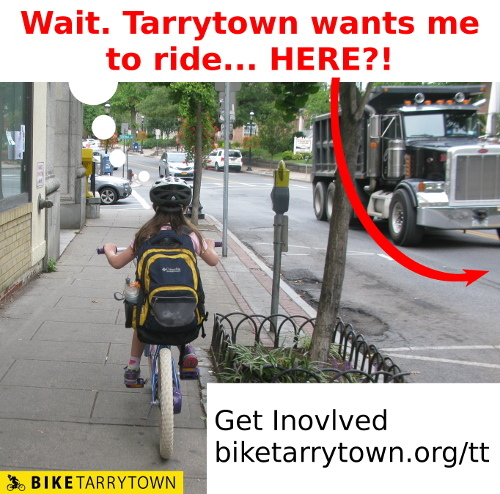 Adults accompanying children cycling would have to cycle separately in the street. Plus they're ruining road riding too. 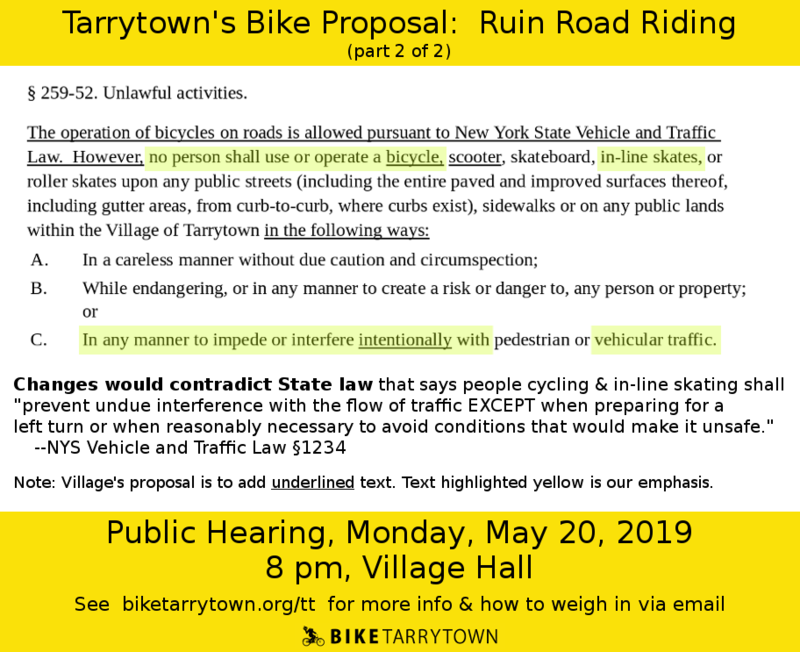 The proposal adds weird language regarding inhibiting traffic in any way. The whole proposal is a misguided mess and must be scrapped. 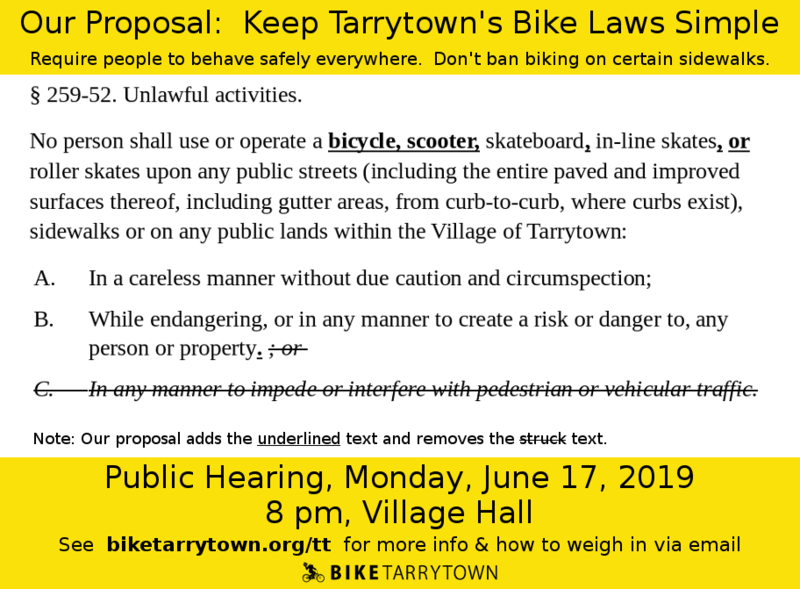 This PDF contains our official statement for the public hearing.